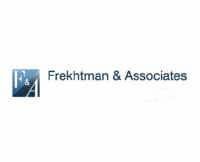 At the law firm of Frekhtman & Associates, our attorneys understand the challenges our clients face after accidents. This is why our goal is to shoulder the legal burden, allowing our clients to focus on their recoveries. If you or someone you love sustained an injury due to another's negligence, we invite you to take advantage of our offer for a free initial consultation at our Queens law office. During your consultation, you can learn more about how we can help you pursue the compensation you need and deserve.